New medium to long growth period Cape cultivar with excellent yield potential. • A widely adapted cultivar that performs well at a range of yield potentials. 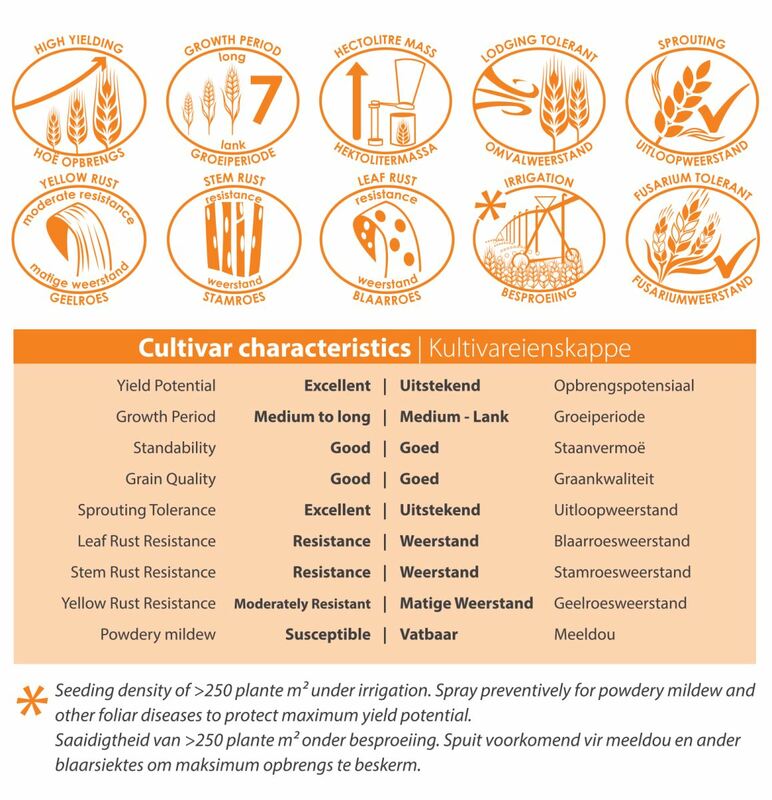 • Cultivar is moderately resistant to stripe rust, moderatley resistant to stem and leaf rust. • Good grain quality and fits in well with Sensako cultivars currently available. • This Cape cultivar showed good response to supplementary irrigation practices. • Cultivar is subject to a licence agreement.